image/svg+xml Page 1 Page 1 Created with Sketch. A rigorous academic program that balances STEM with the arts and humanities. Learn more about cutting-edge research that supports the Air Force and our global society. Take a peek into the life of a United States Air Force Academy cadet. Everything we do is designed to build leaders of character who exemplify integrity. U.S. AIR FORCE ACADEMY, Colo. — There’s a lot riding on the accreditation process slated to begin in April at the Air Force Academy. It’s the first accreditation visit for the school in 10 years, said Col. Dan Uribe, point man for the Academy side of the accreditation and head of the school’s Foreign Language Department. “It’s not just the academic program that will be evaluated, it’s the entire institution,” he said. 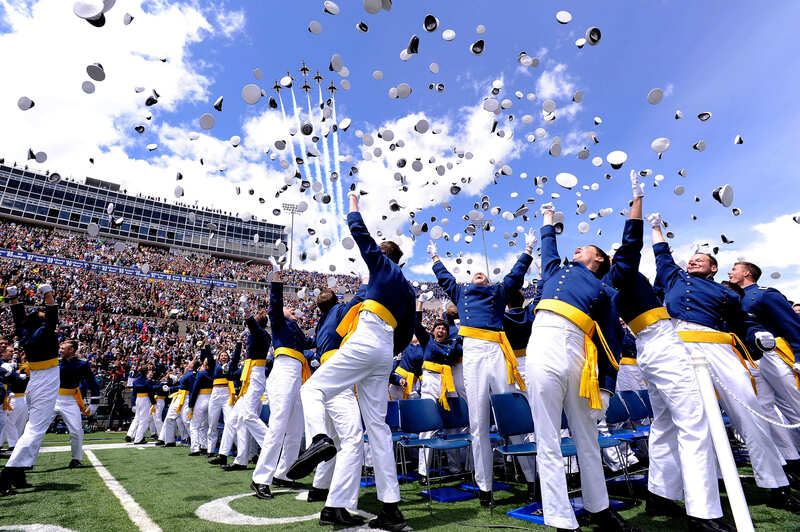 “The U.S. Air Force Academy is seeking comments from the public about the Academy in preparation for its periodic evaluation by its regional accrediting agency. The Academy will host a visit April 29-30, from a team of peer reviewers representing the Higher Learning Commission. The team will review the institution’s ongoing ability to meet HLC’s criteria for accreditation. The U.S. Air Force Academy has been accredited by HLC since 1959. Comments must be in writing and must address substantive matters related to the quality of the institution or its academic programs. Should the Academy fail to be accredited it could face, at best, follow-up inspections from the HLC and at worse, the withdrawal of its accredited status, which would have a severe impact on the ability of the Academy to fulfill its obligation under federal law to produce officers with a Bachelor of Science degree. So Academy officials are taking this for what it is: a serious matter. Accreditation is a hallmark event than can boost a school’s image or tarnish its legacy. Lt. Gen. Jay Silveria, the Academy’s superintendent, said successful accreditation is one of his top priorities as Academy superintendent. Silveria said the accreditation process can be a learning experience for all Academy staff and faculty. The Academy’s accreditation rests on how the HLC rates the quality of its mission; it’s ethical and responsible conduct; the quality, resources and support of its teaching and learning; the education and improvement of its teaching and learning; and its resource, planning and institutional effectiveness, according to the commission’s website. Colleges and universities are affiliated with the HLC in two ways: by gaining and maintaining accredited status or by gaining candidate status. Approximately 1,000 institutions are affiliated with HLC, according to the commission’s website. Brig. Gen. Andrew Armacost, dean of the faculty, said there’s a lot to be done between now and April, including the completion of an assurance argument to be presented to the commission. The argument is a document that demonstrates, with evidence, the Academy is meeting HLC requirements. The appearance of hyperlinks does not constitute endorsement by the U.S. Air Force or the information, products, or services contained therein. For other than authorized activities such as military exchanges and morale, welfare and recreation sites, the U.S. Air Force does not exercise any editorial control over the information you may find at these locations. Such links provided are consistent with the stated purpose of this DOD Web site.